Ashen white flowers; XII–V; mid-green foliage, the young shoots with cream tips in spring; height 31–45cm; spread 75–100cm. Sport on Erica mediterranea hybrida (i.e. 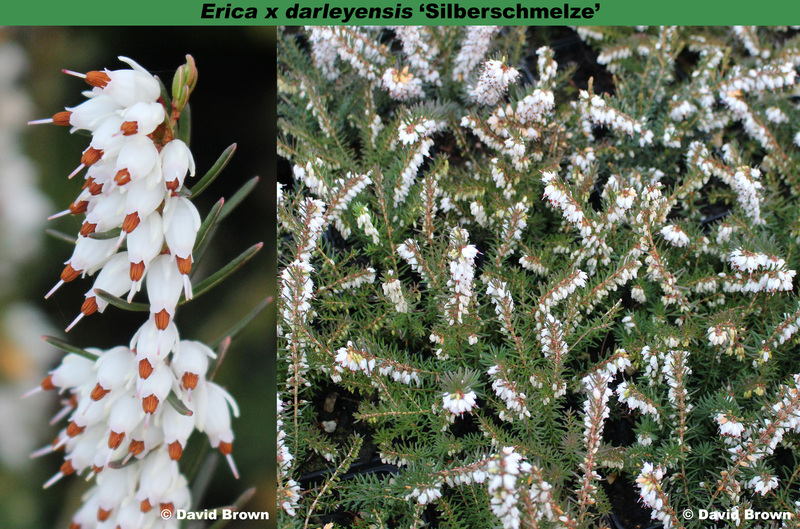 Erica x darleyensis 'Darley Dale'); found by Georg Arends (Wuppertal, Germany), and introduced by Arends in 1937. See Yearbook of The Heather Society 3 (2): 57-66 (1984). The name means "molten silver" (but should not be translated).